^ a b Walkinshaw, Lewis Clark (c. 1939). Annals of southwestern Pennsylvania, Vol. 1. New York. Lewis Historical Publishing Company, Inc, p. 16. ^ City of Washington home page Archived 2010年5月17日, at the Wayback Machine. ^ Grefenstette, Jerry (2009). Canonsburg - Images of America. Arcadia Publishing. p. 46. ISBN 0-7385-6533-4. https://books.google.com/books?id=vr31Qfo34g0C 2009年10月18日閲覧。. 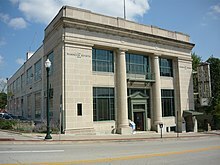 ^ Washington Community Theatre, Inc.
"Washington, a borough and the county seat of Washington co., Pennsylvania" . The American Cyclopædia. 1879. 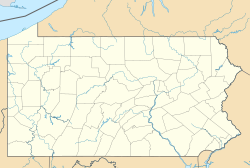 "Washington, a borough and the county-seat of Washington county, Pennsylvania, U.S.A." . Encyclopædia Britannica (in English) (11th ed.). 1911.